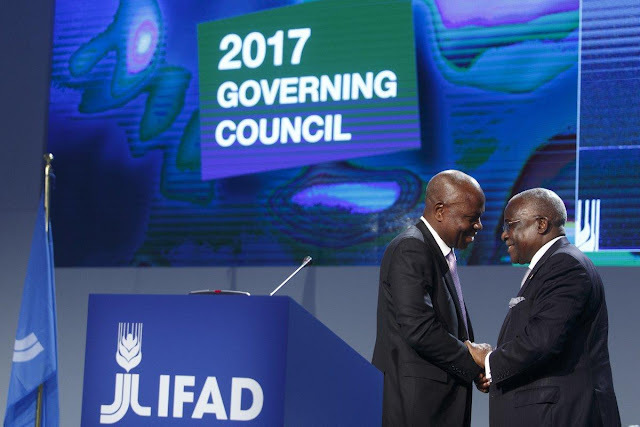 On 14 and 15 February development leaders, heads of state and representatives from around the world attended IFAD's 40th session of the Governing Council (GC), where IFAD’s sixth President was appointed. 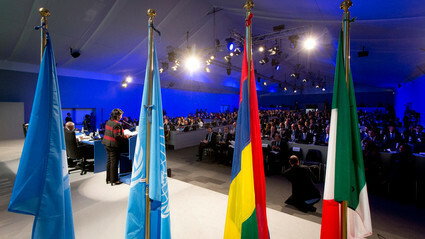 In conjunction with the third global meeting of the Indigenous Peoples’ Forum, the GC, IFAD’s main decision-making body, met with rural farmers and government representatives from 150 nations to appoint the new President of IFAD and discuss IFAD's commitment to "leave no one behind" in the framework of the 2030 Development Agenda. In the opening of the inaugural ceremony, Kanayo F. Nwanze, President of IFAD, gave his final opening speech to the Governing Council. Gurib-Fakim also spoke of the hardships many African countries continue to face, highlighting the extreme poverty and lack of a thriving agricultural sector. “Today nearly two in five children are malnourished and one in eight women is underweight,” said Gurib-Fakim. 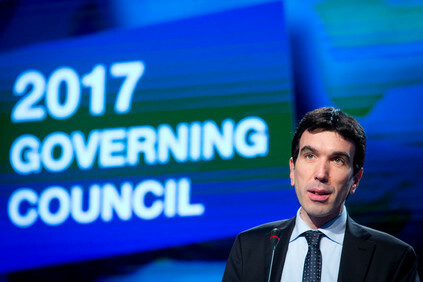 Maurizio Martina, Minister of Agriculture, Food and Forestry Policy of the Italian Republic also gave a keynote address at the opening ceremony. He brought to attention how far the international community has come in thinking about and addressing the ambitious challenge that is within our reach: ending hunger and malnutrition. Gurib-Fakim called upon every man and woman to play a role in achieving this goal, stating firmly that there is no acceptable number of hungry or malnourished. “Hunger and poverty, especially in rural areas are often the first link in a chain of factors that bring conflict, instability, humanitarian emergency and migration,” added Martina. 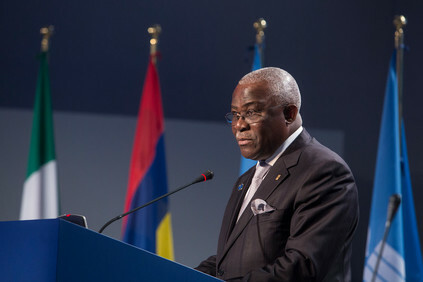 “We will never eliminate poverty and hunger unless we transform rural areas into vibrant economies” said Nwanze. Nwanze also discussed the way that IFAD focuses on long term solutions. He explained that by transforming lives and transforming livelihoods, we also transform communities. “When we invest in the economic and social development of rural areas, and when we bring clean water, electricity, roads, financial services to rural areas, then we are building communities that people don’t have to flee from,” said Nwanze. In his final address to IFAD’s GC, Nwanze reflected on the achievements and reforms of the past eight years, and spoke to his successor’s challenges that lie ahead. Nwanze cautioned that at a time when the world is plagued by conflicts, migration, climate change and political uncertainty, selecting the right person as IFAD President is a big responsibility. Representatives from Indonesia, Mexico, Italy, Morocco, Togo, Turkey, Dominican Republic and Switzerland were candidates for the position of IFAD’s sixth President. Delegates from Member States of IFAD met to appoint the new President, who will lead the organization. 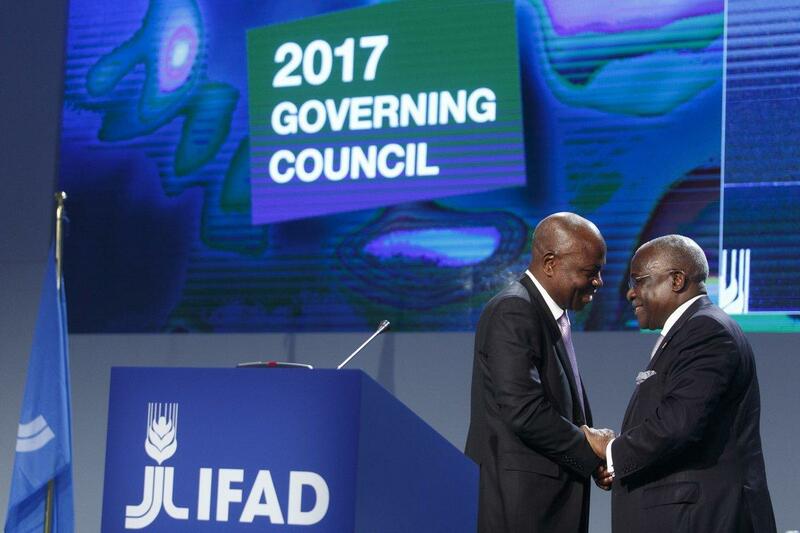 Former Prime Minister of Togo, Gilbert Fossoun Houngbo was appointed as new President of IFAD. He will serve for a term of office for four years, to take effect starting 1 April 2017.